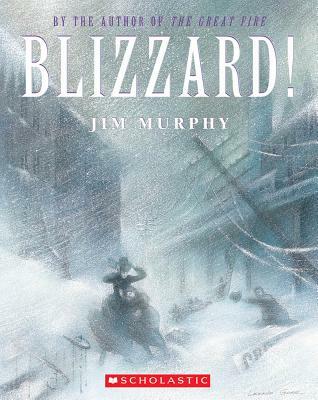 With his powerful and intriguing narrative style, Newbery Honor Book author Jim Murphy tells the harrowing story of the Blizzard of 1888. Available for the first time in paperback. Snow began falling over New York City on March 12, 1888. All around town, people struggled along slippery streets and sidewalks -- some seeking the warmth of their homes, some to get to work or to care for the less fortunate, and some to experience what they assumed would be the last little snowfall of one of the warmest winters on record. What no one realized was that in a very few hours, the wind and snow would bury the city in nearly 21 inches of snow and bring it to a ferocious standstill.